I've been reading the forum for a while but have yet to post. A posted question has inspired me to share some knowledge on working with plastics. I am a plastic fabricator by trade and I run a sign company. We do this sort of thing. Once armed with some simple tricks and some dos and don'ts plastics are no harder to work with than timber. I will add to this post as when I have time. Some points will be obvious to some people. Firstly acrylic and polycarbonate are the most relevant materials to cabinet construction so most of the info refers to these two types of plastics. plexiglass is a trade name for a material called acrylic. Most sheet form acrylic is cast, this means the thickness is nominal and there is ALWAYS a fractional variation in thickness across the sheet. Acrylic is hard but brittle. It forms well with heat. Lexan is a trade name for a material called polycarbonate. Most sheet form polycarbonate is extruded, generally there is less variation in thickness. Ploycarb is softer than acrylic, scratches easier but os very tough. This material retains some water from the manufacturing process and needs to be dried before it can be formed. If it is heated without being dried the water can boil and the sheet will blister. I've heard some interesting methods for drilling plastics over the years. 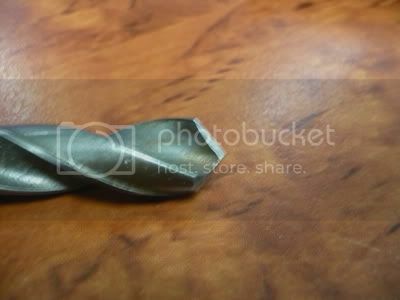 Running bits in reverse is a common one but I remember my high school shop teacher taught the "Correct" way to do it was to blunten the drill bit on the concrete floor before drilling plastics. The key to cutting clean holes is to scrape not cut. 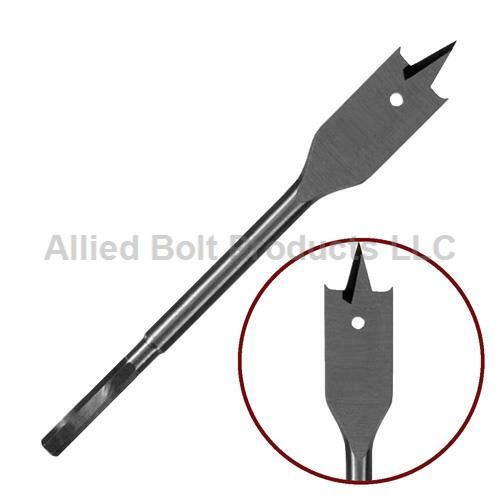 Any standard twist drill can be sharpened to cut acrylic by taking the leading edge off the cutting surface. When drilling thicker material start with a small pilot hole and drill half the thickness from both sides and never use a lot of force. On the cheap a surprisingly accurate and effective way to cut straight lines is to "score and snap". Use a sharp tool with a cross section of about 1mm, like a tile cutter or a scoring blade pictured below to score a deep scratch across the panel using a straight edge. With your thumbs either side of the score and your fingers under the piece you can snap a nice clean line. This is quick and easy but not really suitable for cuts longer than about 300mm. Sorry a foot or so. Generally speaking Aluminium cutting tools are the way to go. Fine tooth jigsaw and bandsaw blades are the key, I use 10tpi blades in my bandsaws. When cutting with a jigsaw ensure the material is supported as close to the cut as possible. A good trick is to place your acrylic on top of a sacrificial layer of styrene foam or florists foam and cut through both. Make sure the foam is thick enough for the full stroke of the jigsaw . For a circular saw or table saw blades you need a "zero chip" or a zero or negative rake saw blade, this refers to the pitch of the teeth. In a pinch you can get away with a hacksaw if you a prepared to clean up the edge with a sander. Routing is the best way to get good results with limited tools. It is as easy as that. If you take one piece of advise from this thread this is the one it should be. 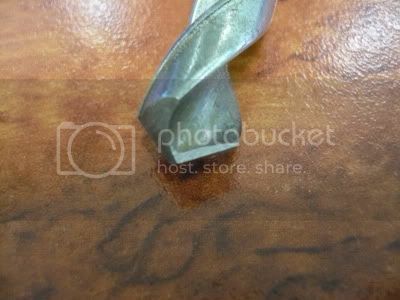 Using straight cut two flute flush trim bits give a nice clean controllable cut, pic below. Low helix spiral cutters will give a better finish but cost a lot more and are harder to find. 99% of the cutting I do uses straight cutters. I only use the low helix cutters on >20mm acrylic cut on my CNC router. Anything thinner than that I cut on my LASER. When flush trimming ensure your acrylic is firmly attached to the guide piece. If you get chipping or chattering you are going too fast, don't have enough clamps or the router bit is too blunt. I'm assuming the most common, complex acrylic pieces most reading this will cut will be CP protectors. Along with clamps around the outside consider using screws with big washers in the button holes to clamp the workpiece in the middle. As I'm sure you are aware there are plenty of ways to mould and from plastics, I will deal with only the relevant ones here. Line bending is exactly what it sounds like. Bending a flat panel in a single plane. Polycarbonate can be bent in a panbreak/breakpress/metal folder. In the gap is a heating element and the metal tubes are cooled with a flow of water. The acrylic sits on to until it is soft enough to fold. The closer the metal tubes are the tighter the radius of the bend will be and a reverse is true for a wide gap, to a point. A very sharp bend can be achieved by grooving the underside of the work piece with a V-bit in a router. That's not much help if you don't have a line bended, with a hot air gun you can get very good results. In place of the metal tubes use some thick >5/8" MDF to insulate the acrylic and confine your heat, allow double the thickness of the material on top of the radius you want to bend and don't heat all the way to the MDF. You want a slow EVEN heating of the acrylic. Heat like you are painting with a spray gun, don't make changes in direction over the material or you will over heat those spots. The ends require a bit less heat than the middle so vary your speed accordingly ie faster at the edges than in the middle. Anything thicker than 4.5mm or 3/16" will need to be heated on both sides. Use your MDF insulators as clamping bars so the middle is held not just the outer edges. Remember SLOW EVEN heating. let the material form under its own weight, don't force the bend. Complex curves, drape moulding and blowing domes and bubbles are all possible with household tools. I helped a mate blow mould some shaped windows for his panel van using a BBQ. If you want help just ask. Bonding. NEVER USE SUPERGLUE. It will cloud and craze the acrylic and not bond well. Methylene Chloride, the active ingredient in acrylic paint stripper, is a good solvent for light duty bonding. There are plenty of commercial glues available but you can make you own if you have Methylene Chloride. Add small pieces of the acrylic to some Methylene Chloride and allow the solvent to melt the chips to a glue like consistency. You can make coloured glues this way. Polycarbonate can be pop riveted. The brittle nature of acrylic makes this an unsuitable solution. Polishing plastics can be done in two ways flame polishing and abrasive polishing. Flame polishing involves heating the top layer with a very fine very hot flame and melting the outer edge of the acrylic and it will then cool nice and glossy. I have a hydrogen generator that is designed as a jewellers welder. Flame polishing is only suited to cut edges. Abrasive polishing is sanding. Using progressively finer grades the surface imperfections are removed. Using finer grits of sandpaper up to 2000 grit then moving to liquid compounds is the way to go. Metal polishes work well, automotive cut and polishes and even toothpaste will do a good job. Tapped thicker acrylic can hold a decent amount of strength but only use fine threads. A bit of grease on the tap will give the threads a bit of a polish. Definitely tip of the day! I will be trying this out next time I drill plexi. And welcome to the boards! Great thread, thanks for sharing. Is there anyway this can get stickied perhaps in a relevant forum? Maybe woodworking? Nice! I've done some work with plastics, but I gleaned some good bits of info here! Thanks! This is my attempt to make up for the info I have gathered from the forum. Another good trick I forgot to include. You can cut the paper without marking the acrylic. Thanks for the great tips! I will certainly be referencing this post in the future. Great info. Thanks for sharing your knowledge with us. NEVER USE SUPERGLUE. It will cloud and craze the acrylic and not bond well. 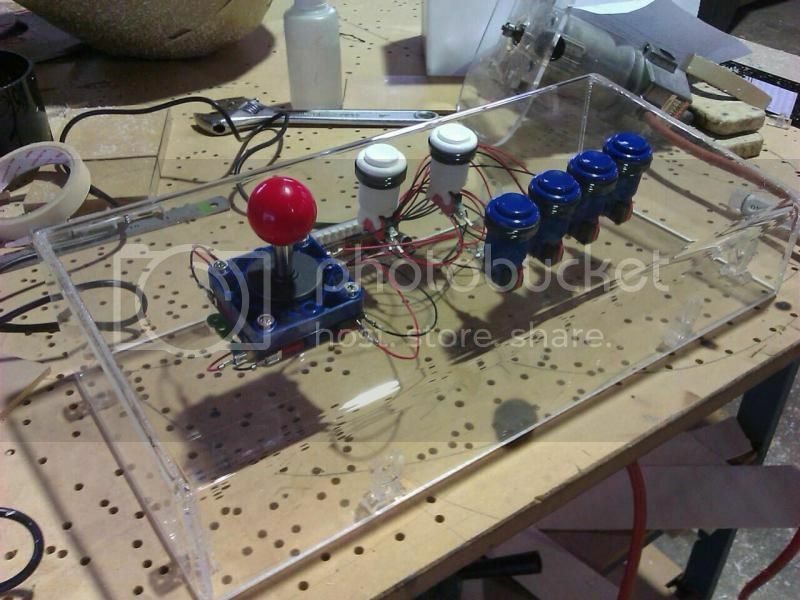 I'm thinking about gluing inserts printed on .004" thick clear inkjet transparency media to the diffuser disc and gluing the diffuser to the plunger on my Paradise Arcade LED admin buttons to keep them from turning during button presses. Any idea what adhesive(s) would be suited to these materials? Would Weld-On 16 or even superglue be OK because of the optical properties of the diffuser? What tools do you suggest for beginners? I'm keen on working in lexan/acrylic/plastics and would like to have what will help me start out right. Thanks for a very informative guide! The timing is perfect as I am about to cut the acrylic for my control panel! Sorry for the delay I've been away from the forum for awhile. Scott - I would steer clear of the weld-on for this application. It's too thick and you'll probably find the solvents in it will destroy the printed ink. Superglue is the way to go BUT you will find that it we probably go cloudy. Use the tiniest amount as possible and glue only on the edge to tack the acetate(transparency) in place. Remembering that capillary action will draw more glue in between the two surfaces. The safest way to go would be to cut the transparency slightly larger than the plunger so that they are wedged in place rather than being bonded in place. Azure - What are you looking to do? You can achieve a lot with a score and snap knife, a hacksaw, a jig saw, hot air gun and a router, even a small laminate trimmer is good for acrylic. Spade bits or hole saws are a good way to go for bigger holes. I love your Anytime sports sign that is black during the day and lights up white at night. Good work sign man! Azure - what you're looking at doing sounds easy enough. 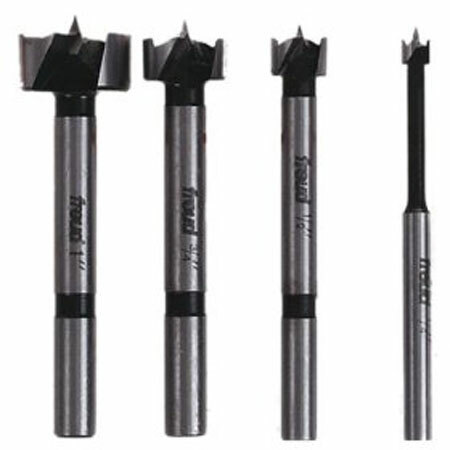 Provided you use the right type of blade, most woodworking tools are suitable for use on plastics. If I was collecting tools to build a nanocade. I'd start with a jigsaw to cut a wooden template for the sides and a router with a flush cut bit to cut the acrylic to match. Straight cuts are best achieved with a table saw or circular saw with an aluminium cutting blade. Other than basic hand tools, that's really all you need. Selfie: That is incredible. Judging by the front of that joystick enclosure, you used heat to bend it? You will be working with a piece of acrylic,called "Perspex", to make your Key-fob from. 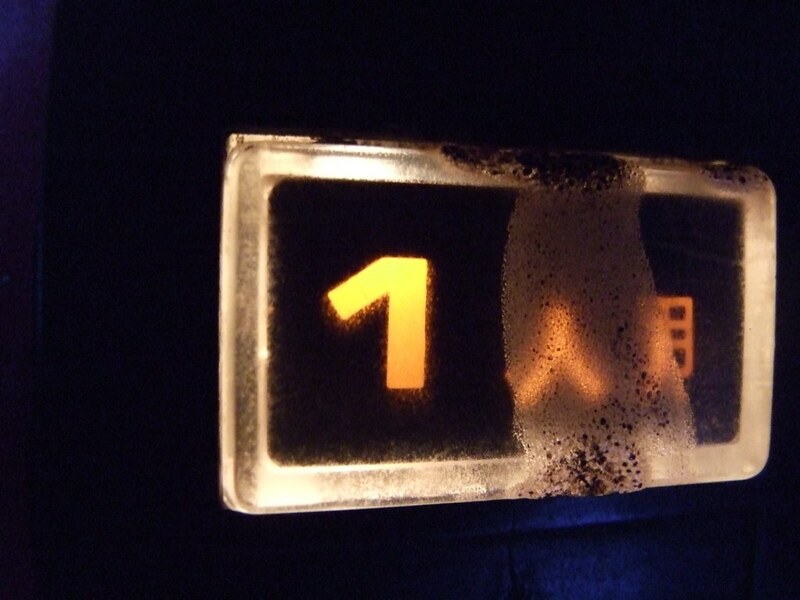 "Perspex" is a "brand-name": a manufacturers choice of name given to a product, e.g. "Coke", "Big Mac", "Branston" etc. By the end of year 7 you will probably realise that plastic is, in fact. More difficult to work with than wood or metal. "Perspex" will crack, split, scratch and break very easily. Once it is damaged, there is little or nothing you can do to repair it! Therefore you must take extra care while working with plastic. Over-tightening a metal vice too much will even spoil a piece of plastic, as it will produce a criss-cross pattern into the shiny surface. That's right. The two bends were made on a "line bender" or "strip heater" it's basically a single heating element with guides to confine the heat to a narrow spot. I got a question for you regarding bending plastic/perspex/acrylic, in my jukebox build i will be attempting to make the outside light tubes, obviously the straight pieces are easy enough , what would be required to bend around a circle if at all possible, i will do the straight parts using the oven method and onto a mould, can i do the same with the curved sections? I have actually had some luck using fabric glue to glue images to plastic, though for reference, the plastic I was gluing paper to was the type used on packages that dolls and action figures come in, not acrylic. I used Aleene's Flexible Stretchable fabric glue, as it dries clear and it was what I had on-hand. Jo-Anne's and Michael's carries it for sure, though other places might have it, too (but Jo-Anne's and Michael's will e-mail out very nice 40-60% off coupons fairly frequently AND they take each other's coupons). EDIT: Whoops; I didn't notice how old that post was; I just looked at the dates on the most recent posts and didn't look at the date on yours in particular. Hey Selfie, excellent tips, thanks ! It's a button from a Japanese Namco Galaxian cab. These kind of buttons are not available anywhere. I was thinking about trying to sand it down far enough to get an even top again and then go sanding with finer and finer paper and then using my micro-mesh kit. Alternatively, would it be possible to make something like this brand new ? You might be in trouble there... I think you will find the burn goes far too deep to be able to sand it out. From the looks of that button it is injection moulded, so it can't be remade the same way without a massive setup cost. It a bit hard to see form the pic but it should be easy enough to fabricate one out of layers of acrylic. One piece the size of the hole laminated to a piece bigger to stop it falling out of the hole and the a couple of pieces attached on edge to space it out form the switch mech itself. You could do a simple two piece or three piece mold and pour some lucite. Just prep the original with sanding and bondo so you get a good form to work with. Probably a solid saturday's worth of work for a small part tho. You could also make that with a 3D printer, some Nylon and a rip roll tumbler. Thanks for the suggestions guys ! I'll have to remove my buttons to give them a closer look before moving on. I really like the idea of 3D printing. The "market" for these is probably just a handful of cabinets around the world so a "one of" solution it has to be. 3D printing files are easily shared and can be printed more or less locally. I'll also go over to my perspex dealer who also do a lot of work on shaping, drilling etc. (they did my SW cockpit plexi's) Pretty sure it's hard because it's so small, but worth a try. Thanks for this great thread! I have been working with Plexi on my cab for months now. I'm very glad I tried a practice drill in a scrap piece of 1/4" Plexi and you're right, the key is to go very slow and let the bit do the scraping, not cutting. I pushed too hard and the Plexi shattered in my hand. Fortunately, all the finished product pieces have turned out great. It also helped greatly to have a board, like plywood under the spot you're drilling. It's the end of the drilling as the bit is getting through the Plexi is where you have to be the most gentle. This is where having wood underneath really helps. I've been working with a lot of 1/4 acrylic on my cabinet. I decided to do a test on a sample piece with several types of drill bits from standard metal and wood bits, forstner, hole saw, spade and finally a step down bit. The step down bit was hands down the cleanest cutting bit (even with a hand drill) and never caused me to worry about cracking or chipping. Unfortunately I didn't have a step through with 1/4" layers so started each hole with the step down bit and used an up-cut spiral bit (best purchase ever) on my router table to make absolutely perfect holes on the first pass. I did use forstners on my MDF and it produced amazing results. My Milwaukee hole saws do not like MDF. They burn the wood immediately. ...what would be required to bend around a circle if at all possible, i will do the straight parts using the oven method and onto a mould, can i do the same with the curved sections? I'm sorry if this is a late request, but would you mind providing information in this thread as well? It's stickied, and pretty much the "go to" for all things plastics. 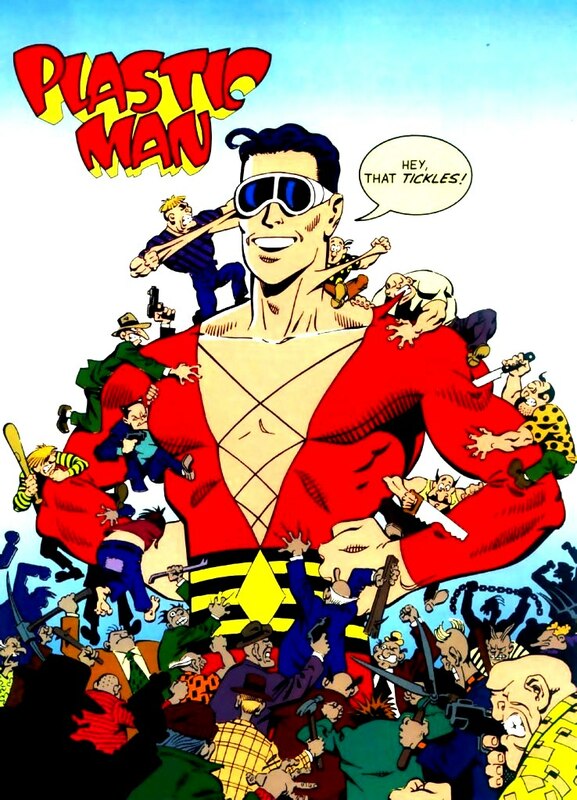 Oh, and maybe consider changing your username to Plastic Man? I tried using a spade bit on some Optix acrylic (from Lowe's), and it ended poorly. Luckily I tried on a scrap piece first. It works ok in reverse, but takes forever and is unnerving. I should note that I didn't sandwich the plexi between two layers of wood while I experimented. I ended up using my flush trim router bit with a non-plunge router. If you ease the router into the acrylic, providing a little upward force to the router's own downward (due to gravity) force, it works like a champ. Super clean edges and all the rest. It cuts like butter! I'm sorry if this is a late request, but would you mind providing information in this thread as well? It's stickied, and pretty much the "go to" for all things plastics. I would steer clear of using a drape mould for the straight bits if you can. The easiest way to do the straight bits would be to get acrylic tube and cut it length ways to get your two half round "tubes". If I were doing this I would blow mould curved parts. Either in one piece or four smaller pieces, dependant on the size of your oven. Your moulds will be two pieces. The base board is a flat sheet of mdf with a hole in the middle for an air fitting then the board need to be covered in some felt or similar soft material. The top sheet will have a hole the shape where the acrylic meets the box allow at least 100mm around the edge of the "hole". Put a small radius on the edge of the top sheet of the mould, just enough so the edge is not sharp. You said you have and oven you can use. Heat a piece of acrylic that is the size of the mould boards, when hot, put the acrylic on the bottom mould and clamp (with lots of clamps) the top mould on and turn on the compressed air though the bottom. The amount of air will determine the height of the dome, you will need to vary the air manually to get them all the same height. You should be able to source clear tube in various sizes, then lay a coloured sign writers vinyl on top. Vacuum forming is a different process all together. It uses a porous mould that the material is formed over. This is what I mean by blow moulding. You can do it at home with a jigsaw to make the mould and an air compressor to blow the "dome"